Congratulations! You’ve made the decision to beautify your home and make it more energy-efficient. 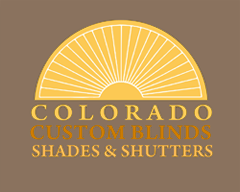 Colorado Custom Blinds, Shades & Shutters is here to help. Tell us about your project: Too much sun? Losing heat in winter? Want to keep that view of the Front Range while keeping your privacy? We’ve got a solution. Call or email Colorado Custom Blinds, Shades & Shutters today and we promise a prompt response.